Recently I lost my wallet and mobile phone in train. It had my driving licence, ATM Card and cash. Good thing I had already scanned my DL but I had no other choice for ATM Card. I asked a nearby person for his phone and deactivated my card. I wrote an application about issuing new ATM Card and went SBI Bank along with FIR. They told me that the new card will take about 14 days to come. Since I had no phone I could not even do online transactions. Finally after 12 days I again arrived at bank to change my mobile no. for online transaction at this time the same person told me that my application for issuing a new card has been rejected and he doesnt know why is this happening. He told me to come back after the week end so he can check it again. I gave him my mobile no. change form and left. Next week he again sang the same song, thereby I called customer care regarding the problem and they stated that my debit card is still active. I again went to the bank to check the status the man told me it has been deactivated. At that I point I didn’t knew what was happening to my account. What kind of scam I was being pulled in. Finally he asked me what kind of card did you had? I told him a VISA Silver Card. At this point he told me that was the fault he was trying to deactivate the maestro card and therefore the system was not accepting the application. I had already been 25 days running this mess. In the mean time he didnt even changed my mobile no. After 18 days my new card arrived with password. I tried to use it but it wasnt working. He told me to come back the next day. Finally he sent me to a new person who was supposed to unlock my new card as it was a replacement. So for 50 days I had to stay with the support of my friends even though I have a good sum of money in my account. Just wanted to share this experience and could you kindly tell me what is the time taken to issue a new ATM card? Dear Piyush, when such things (card lost etc.) are reported iover phone, a complaint number is generated. Was it there for you? 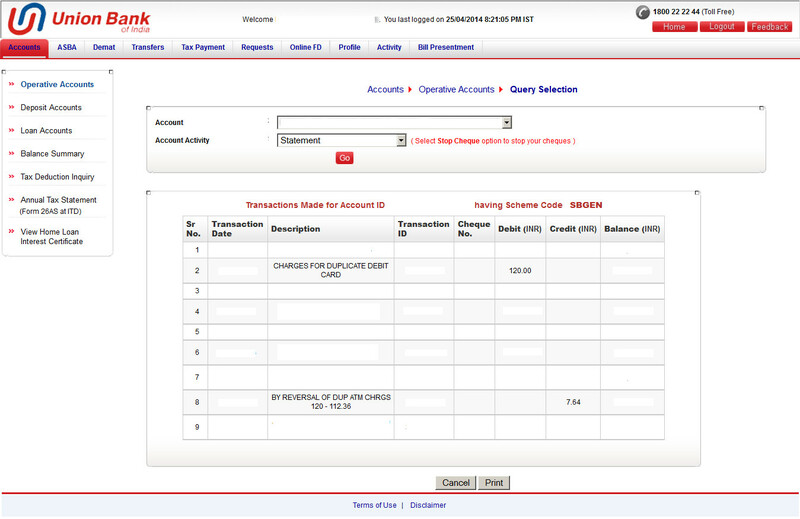 For me, in HDFC, a card was issued instantly once which got activated in 2 days. Another time, I opted to have name on my card, then it took 7 days. Generally, it will not take more than 10 days in any bank. In your case, because of some confusion and inability of the SBI people it took lot of time. Dear Piyush, how about complaining the matter within SBI? I tried to go to the Bank Manager but he said postal service at my area is aproblem so thats the main delay and no fault done by the management. Called customer care but as written they didnt even agree my card was blocked although I blocked it by callins customer care only.